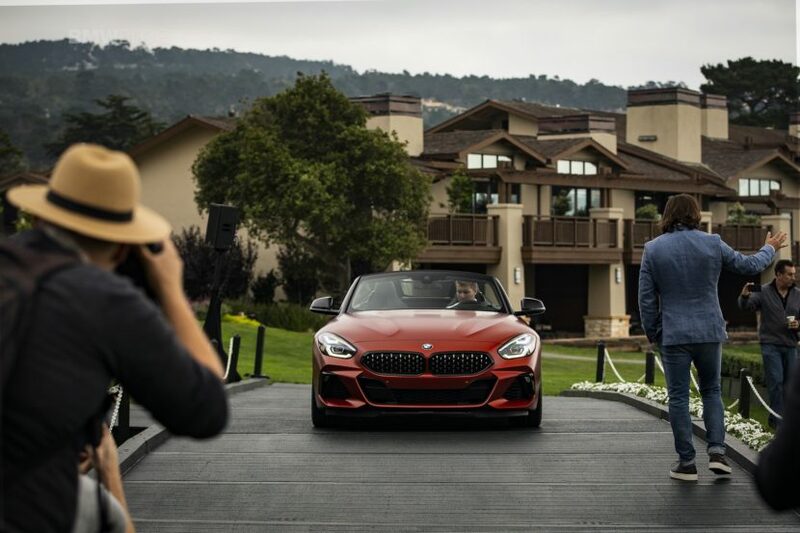 Our BMW Z4 Roadster coverage continues with new photos from Pebble Beach where last week BMW has unveiled their latest iteration of the popular two-seater open top. The drop-top Z series has been around for nearly 30 years, beginning with the first-generation BMW Z1 and the Z3 and Z8 models that co-starred in a few Pierce Brosnan-era James Bond flicks. Now, after a thee years hiatus, the new G29 Roadster arrives in the United States to take on a shrinking, yet emotional segment. The launch model is called First Edition and it’s powered by a 3.0-liter inline-six. BMW hasn’t confirmed output numbers, but we expect a marked improvement over the previous Z4’s 335 horsepower. BMW says the six-cylinder Z4 should launch to 60 mph in 4.4 seconds,which is nearly a half-second quicker than the old Z4’s best and on par with a Porsche 718 Cayman. This M40i First Edition trim of the 2019 Z4 comes in a striking colour called Frozen Orange Metallic and also features a BMW Individual High Gloss Shadow Line. The Munich automaker has this time chosen to go with an anthracite fabric roof instead of one of its cool but heavy and expensive folding metal systems, but the fabric top does have a “silver effect” and can be stowed away in as little as 10 seconds. Other highlights of this First Edition model are adaptive LED headlights, black mirror caps and two-tone, double-spoke 19-inch wheels. 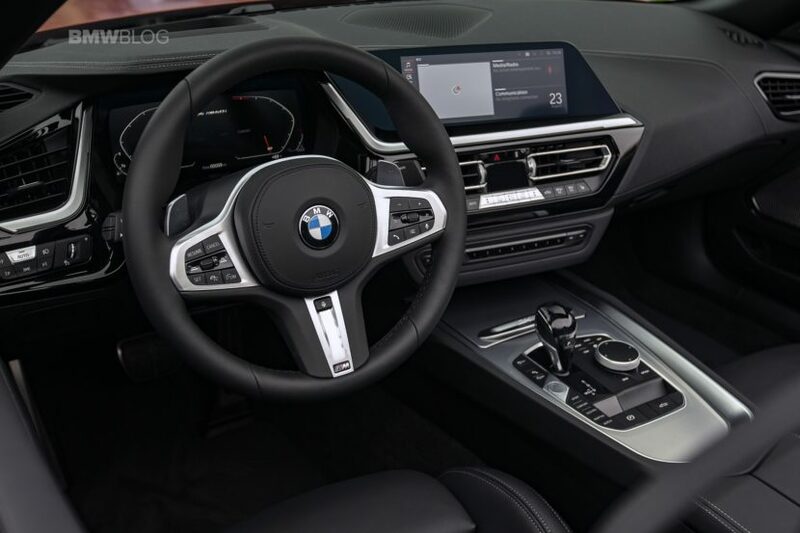 Inside this particular model is a black leather interior featuring contrast stitching, power adjustable seats, a head-up display, a premium Harman Kardon surround sound audio system, and BMW Live Cockpit Professional with two digital screens.